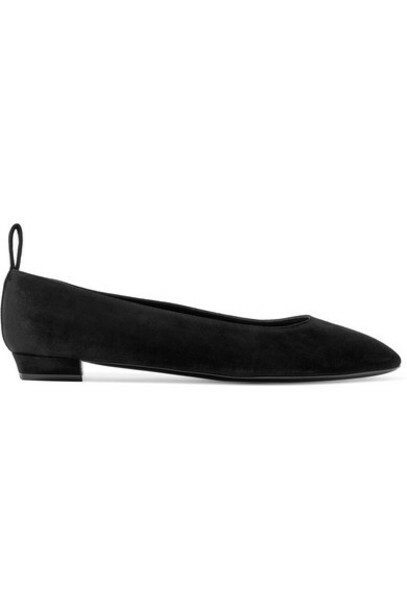 The Row's 'Lady Di' flats are inspired by the elegant shoes worn by Princess Diana. They've been made in Italy from smooth suede and have pull tabs so you can slip them on and off with ease. This pair goes with everything from dresses to tailored pants.